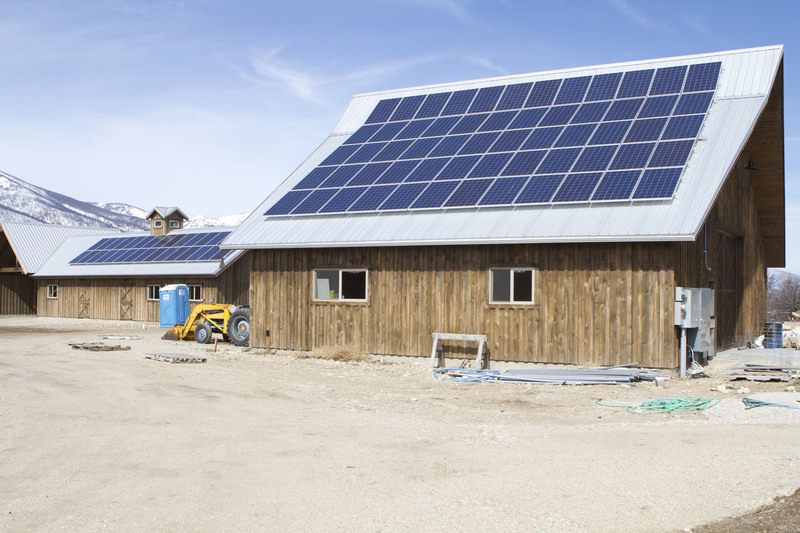 This Photovoltaic system is typical of many we install in Western Montana. 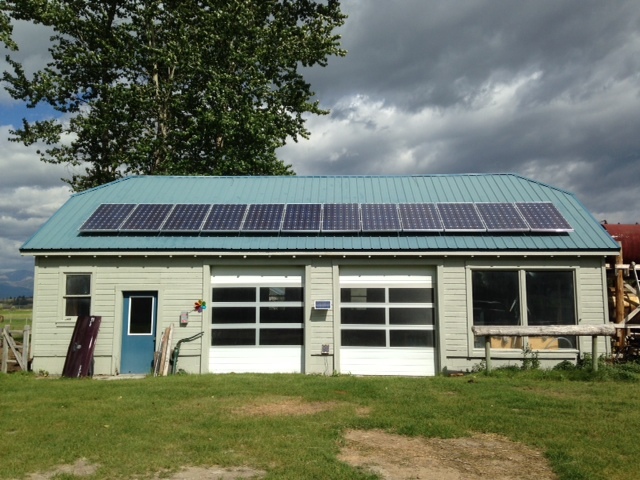 Here we have 12 -235 watt solar modules which create a 2,820 watt solar array. The modules are secured with a flush mount aluminum racking structure which is tied into the rafters of the roof. Since this is a metal roof we have specialized neoprene gaskets at each penetration to assure no moisture will penetrate the roof. 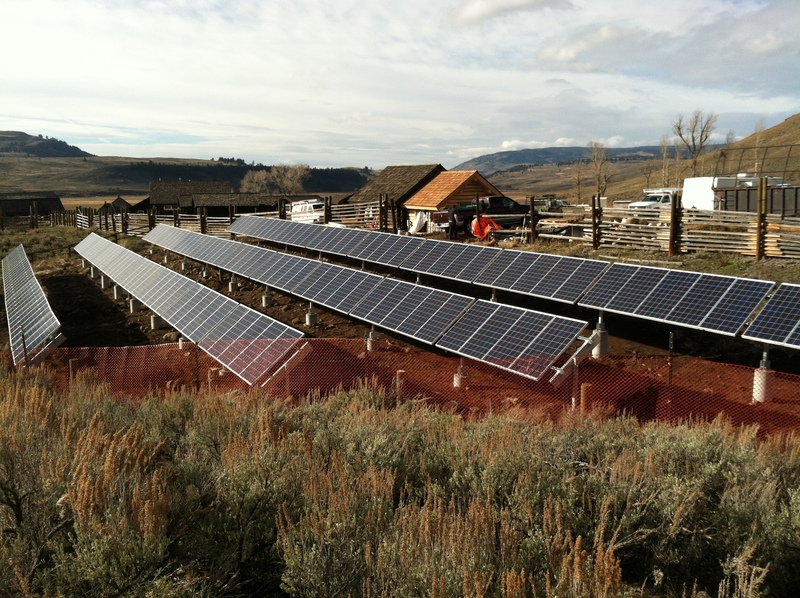 We were proud to be selected to work on this system in Yellowstone National Park. 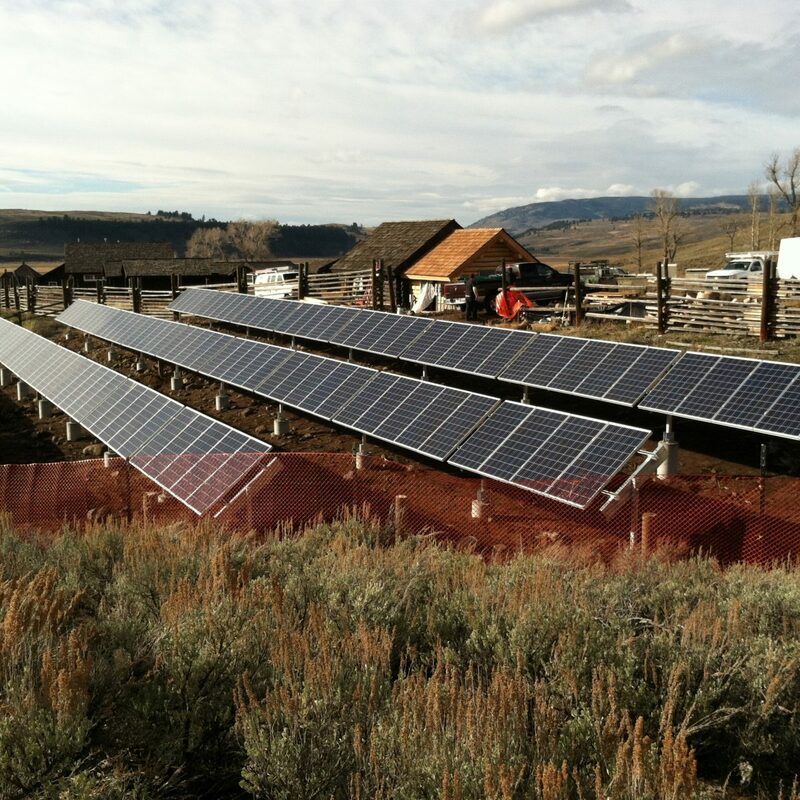 This 44kW array powers the Buffalo Ranch Ranger Station in the Lamar Valley of Yellowstone. We worked with CTA Architects and Engineering and DJ’s Electric to wire the 176 solar modules that were donated for this project. 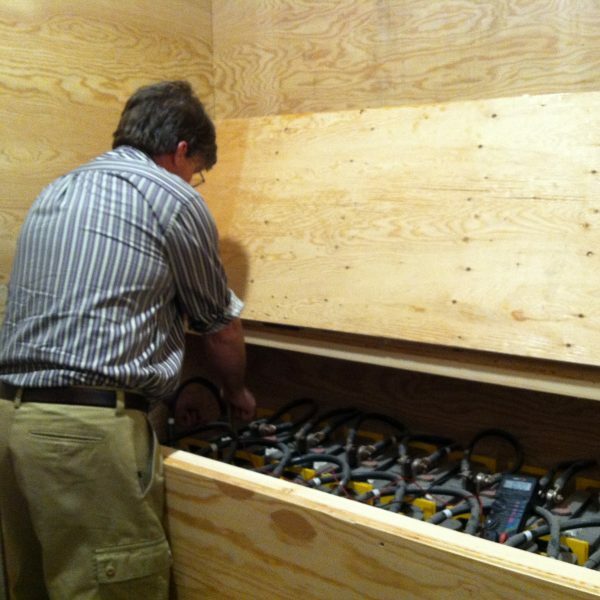 This off grid system employs a cutting edge battery bank of 200 plus recycled Toyota Camry hybrid batteries. 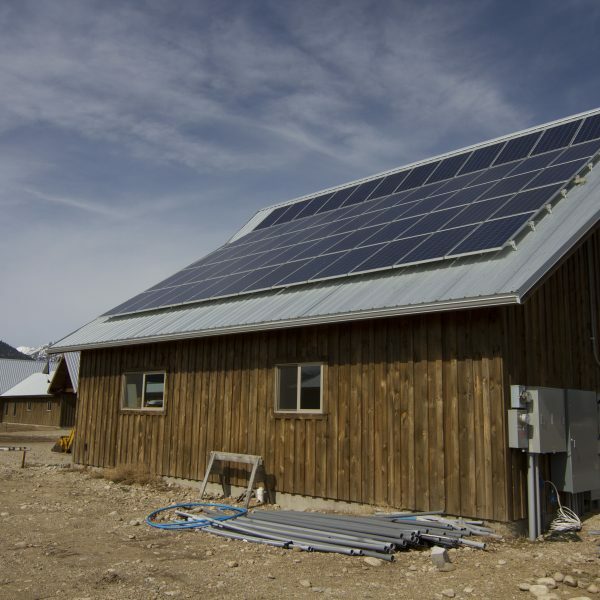 Yellowstone park is determined to reduce their carbon footprint and will be reducing the use of propane and replace a number of gas hot water heaters with electrically powered units. This is a significant change for us in the PV industry as 20 years ago we would not consider powering electrical heating elements. 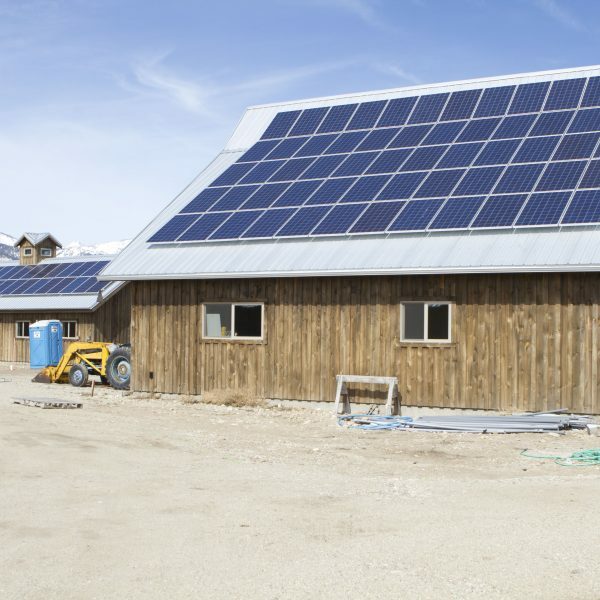 Today’s more powerful solar modules and the greatly reduced costs makes this the viable. 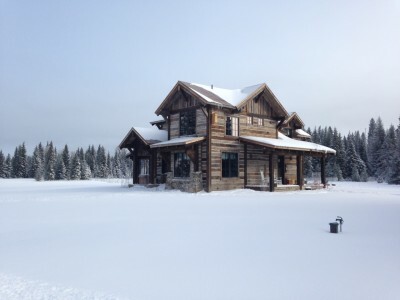 Here is an off-grid, remote home near Polebridge, Montana. Polebridge is located West of Glacier National Park and is one of the few areas in the continental U.S. where apex predators like the Wolverine, Grizzly and Wolf always have and still do call home. 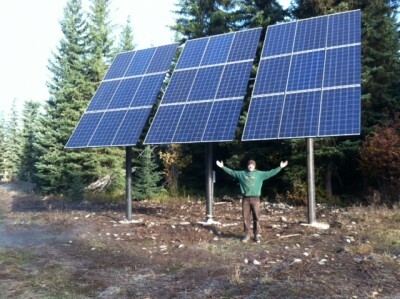 We mounted 27 modules on three top of pole mount structures some 300 feet from the home, taking advantage of a natural opening in the spruce forest. This country receives much snow accumulation, another reason to mount the modules high so snow that slides off the array and builds up is not an issue. We like to install arrays above head height which also prevents critters from chewing on tasty wiring and such. 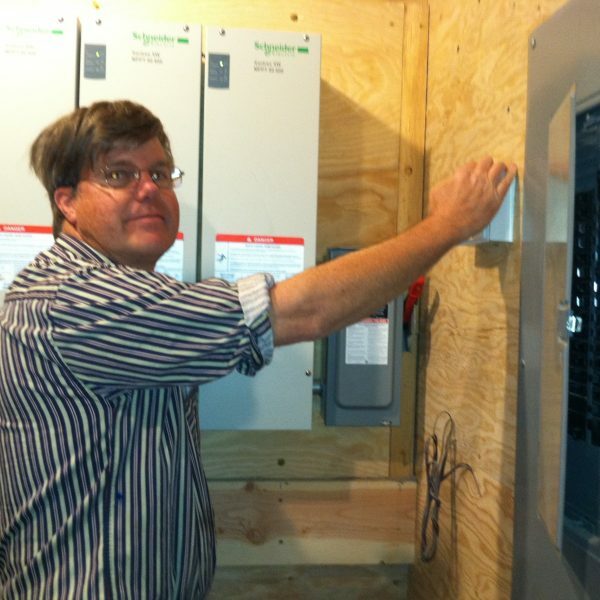 We included two 6,000 watt inverters and a 48 volt battery bank of 1,900 amp hours. These ae flooded, deep cycle, lead acid batteries. 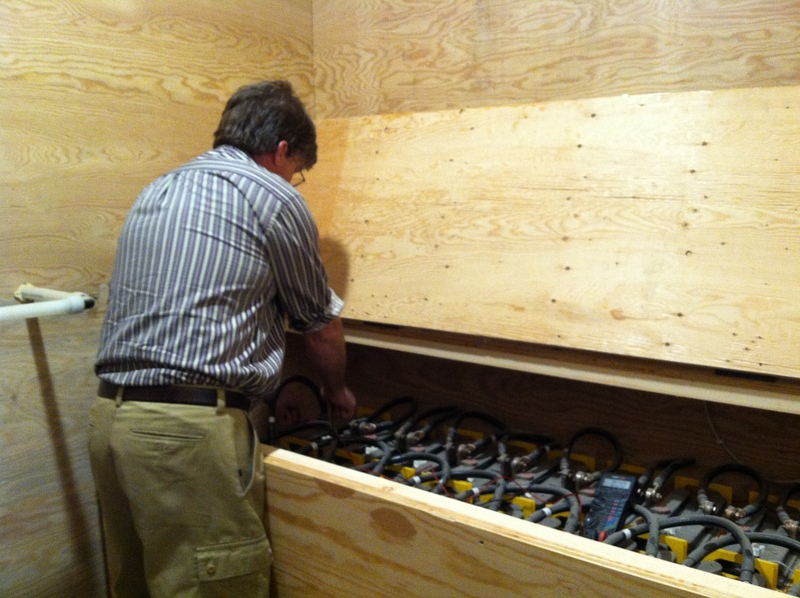 This is no place for the sealed variants used with some on grid systems as this battery bank will be cycled frequently. 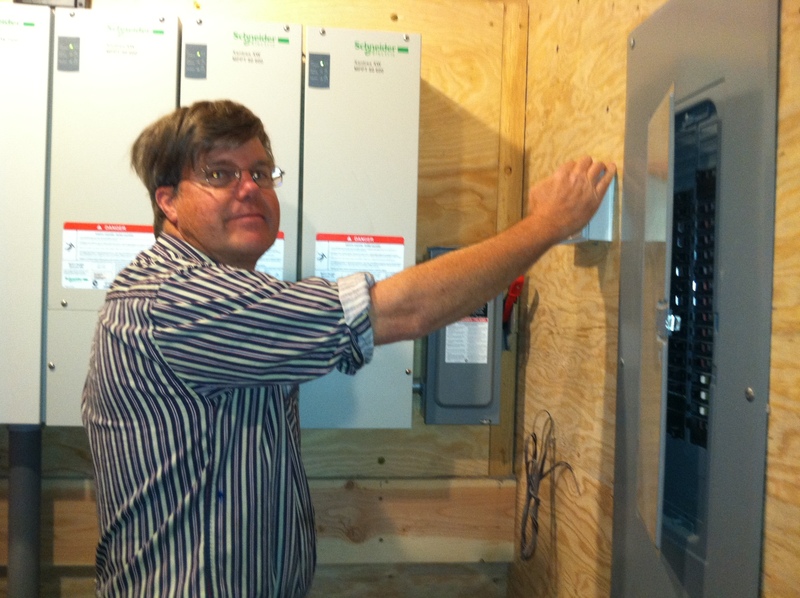 And last ,but not least, a 20 kW propane fired generator serves as backup power when the skies are grey. 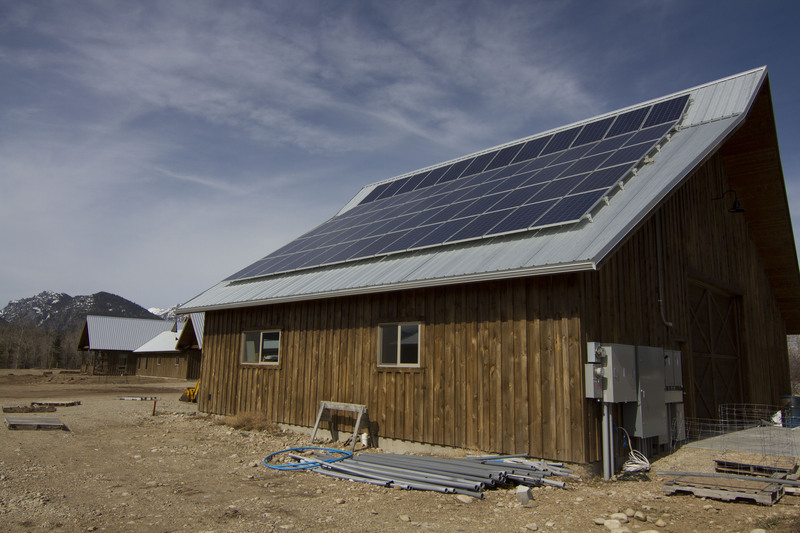 This 4 kW utility interactive photovoltaic system is expected to provide nearly all of the electrical demands of this Missoula resident’s home. 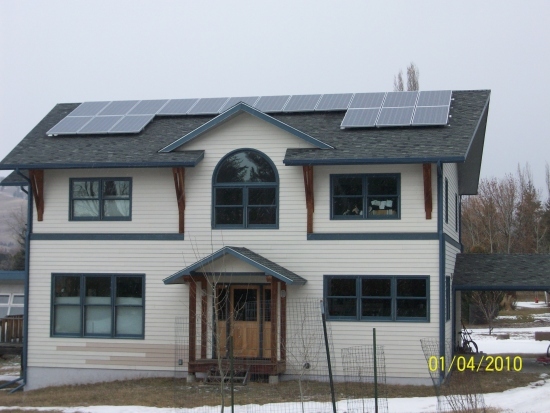 Missoula’s yearly insolation for a fixed, south-facing plane tilted at 35° is about 4.4 kWh per square meter per day.